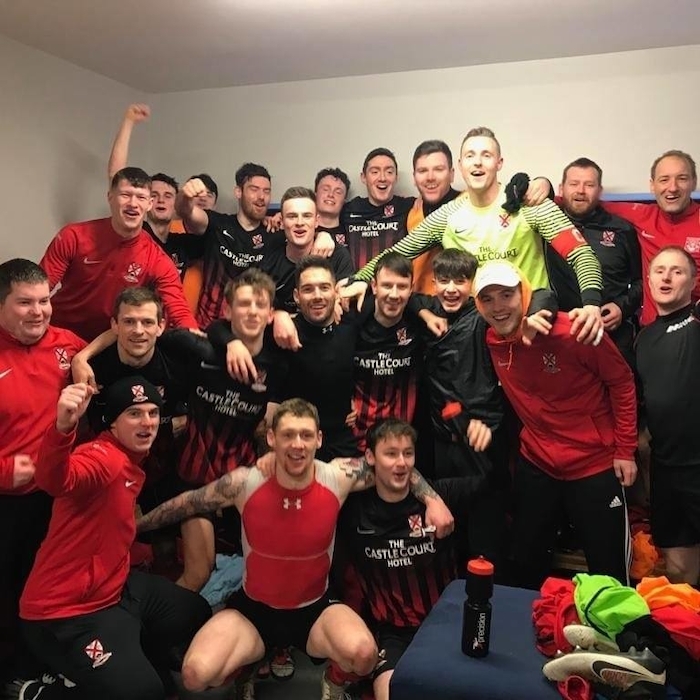 Westport United's reward for last Sunday's 1-0 win over Usher Celtic in the sixth round of the FAI Junior Cup is a trip to take on Peake Villa from Tipperary. United's opponents booked their spot in the draw after a 4-2 win on penalties against Greencastle, following a 1-1 draw in Donegal last weekend. Villa trailed 1-0 early on, but a Mikey Wade score just before the break drew them level and the contest remained the same right the way through the end of normal time and two periods of extra time. Peake's goalkeeper Willie Tierney was their shoot-out hero, saving two of Greencastle's spot kicks. Westport will make the trip full of confidence after their win over a highly rated Usher Celtic in United Park last Sunday - thanks to a late own goal when Phil Keegan's effort was ushered over his own line by an Usher defender. The win over the Dublin outfit will have United full of confidence of being able to take the scalp of the Tipp side when they meet over the weekend of February 2 and 3. The girls from St Joseph's Secondary School in Foxford exited the FAI Girls Senior B Schools' Cup at the semi-final stage this week. They were beaten 3-2 by Donegal outfit Mulroy College from Milfor in IT Sligo. The Donegal side was a formidable force that optimised its experience at this level, coming from behind to take the game five minutes from time. However there was nearly a shock on the cards as the Foxford crew grabbed a splendid goal with eight minutes played, to stun their opponents. The impressive Cliodhna Flynn attempted a lob off Mulroy netminder Clare Grier, who managed to foil her initial effort, but Flynn was on hand to latch onto the loose ball to slot home from an acute angle for the opener. Their lead was cancelled out shortly after when Catherine Grier stuck from outside the box to stun the Foxford keeper Leah Joyce. The Foxford girls took the lead 15 minutes later through a peach from Flynn for her brace, as she successfully lobbed Grier in the second time of asking and sent her side into the break 2-1 up. Mulroy’s equaliser came ten minutes in the restart as a Kellyann Buchanan corner was met by Laura Dugera at the far post for her to tap in. The eventual victors found their form in the latter stages and international player Catherine Grier was on hand to grab her second of the afternoon and Mulroy’s third, to seal the match winner with five minutes to go. St Joseph’s will feel that they should have got more from the game as they created a lot of good scoring opportunities through Flynn, McHugh and Traynor, but both keepers were exceptional despite the five goal score-line.